A better and more professional approach than using binders or presentation folders. Contact Franklin Mills to discuss the design of your contemporary portfolio at 1-888-678-4585. Make a statement with custom-made home buyers portfolios! Make a statement with Franklin Mills custom investment portfolios! 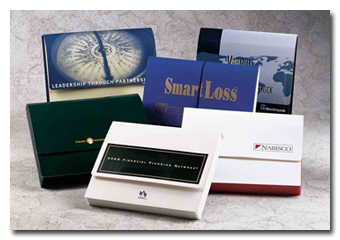 Make a statement with custom-made accounting / tax service portfolios!